Ancient Selfies features coin photos from TrekPic and provides a rare, first person look at history through the images ancient leaders left on the coins they issued more than 2,000 years ago. Learn more about this unique book here. Or get your copy from Amazon.com. In print and full-color eBook. 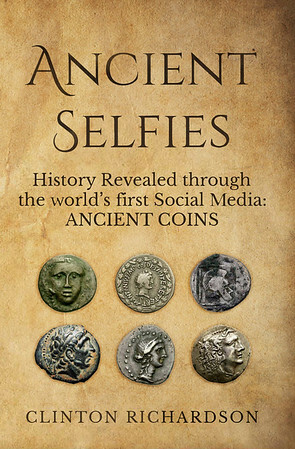 Ancient Selfies is fast paced and winner of two international book awards. Readers Favorite says it "transports readers back to ancient times." Click on the coin to see the image gallery.